Revolution. Secrets. And someone is pulling the strings behind the scenes. 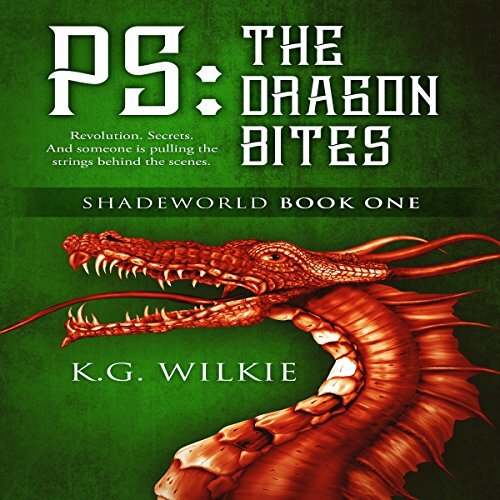 In this thrilling opening to the Shadeworld series, K. G. Wilkie has created a work of striking power, imagination, and sorcery. PS: The Dragon Bites transports us to a world of court intrigue, wizardry, and dueling magical species in a crossover of our planet Earth and the mysterious Shadeworld, which is unlike any we have ever experienced before. Aeron is a troubled dragon prince. His brother is stirring up rebellion and trying to steal his throne, his MIA childhood friend has finally been found after a years-long search but doesn't remember him, and being a teenager in a human school just isn't all it's cracked up to be.